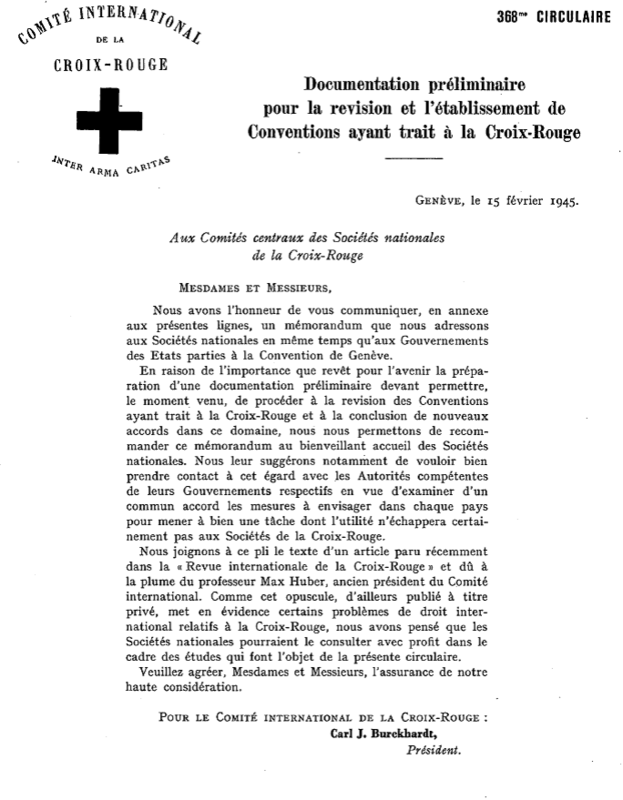 The Geneva Conventions were adopted on August 12, 1949. Numerous expert meetings were organized in the lead-up to the adoption of the Conventions. These various forums produced a whole range of documents which remain relevant today for the interpretation and application of the Conventions. The Second World War had shown the need to expand the humanitarian conventions and thereby provide the civilian population with adequate protection at last. 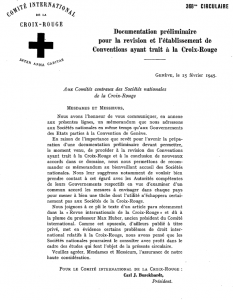 In a memorandum dated 15 February 1945 (only available in French [circular n° 368]), the ICRC announced that it was starting consultations for that purpose and asked for the support of governments and National Societies in gathering the necessary documentation. Rapport sur l’activité de la Commission des sociétés nationales de la Croix-Rouge pour l’étude des projets de Conventions nouvelles (not yet available online).